Selborne Bed and Breakfast - Selborne Accommodation. Our promise to you is a comfortable bed and a hearty breakfast to get you ready for the day. The bed and breakfast is established in an antique house. All rooms are en-suite and we offer our guests a room, bed and breakfast or self-catering option. Safe parking is provided. 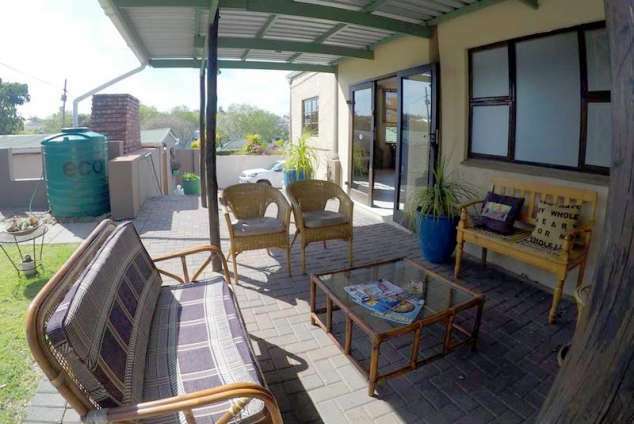 There are braai facilities in our quaint garden available for your use. There is a shared lounge at the property. Some rooms have a sitting area to relax in after a busy day. A flat-screen TV is provided. * Spacious Rooms. * En-suite bathrooms equipped with a shower, toilet and basin. * TV with DSTV bed and breakfast package. * Dressing table. * Working desk. * Braai Facilities. * 24-hour tea/coffee facilities in the dining area. * Spacious Rooms * En-suite bathrooms equipped with a shower, toilet and basin * TV with DSTV bed and breakfast package * Dressing table * Working desk * Braai Facilities * 24-hour tea/coffee facilities in the dining area. Room has a Fridge/Freezer, Microwave, Kitchenette. Room has a Fridge/Freezer, Microwave, Kitchenette, is a Self-catering unit. Room has a Fridge/Freezer, Microwave, Kitchenette, is a Self-catering unit. Can fit extra single bed if needed would be a tight fit then. Take Pompies Pillar Avenue to Settlers Way/R72. 2 min (550 m). Follow R72 to Cambridge Street. 8 min (5.9 km). Take Recreation Rd and Gately Street to Salisbury Road. 9 min (4.2 km). Turn left onto Cambridge Street. 800 m.
Cambridge Street turns right and becomes Commercial Road. 350 m.
Turn left onto Recreation Road. 600 m.
Turn right onto Graham Road. 300 m.
At the roundabout, take the 1st exit onto Gately Street. 1.6 km. At the roundabout, take the 3rd exit onto Botha Road. 130 m. Slight left onto Frere Road. 400 m.
Turn left onto Salisbury Road. 189 page views since 11 Oct, 2018. Last updated on 11 Oct, 2018.